Benefits of Corrugated Metal Roofing from McKee Construction Co. Corrugated metal roofing is one of the best things that you can do for your business. McKee Construction Co. near Orlando is proud to have its own metal roofing division to help you. As general contractors, we understand how different elements can affect the overall success and longevity of a building. Metal roofing definitely contributes to the longevity to a building and makes it a superior choice in a variety of other ways. Aside from lasting longer than its asphalt counterparts, it is also an excellent way to be kind to the environment and lessen the strain on the structural components of your home. If you are interested in learning more about our services, contact us at McKee Construction Co. today. Why is Corrugated Metal Roofing Better? Metal roofing has an extensive list of benefits. The first and most commonly known of these is the fact that metal roofs naturally last longer than asphalt tile roofs. This is because they are able to seal out water, survive high winds, and shed snow easily. They are also resistant to fire, mildew, insects, and wood rot. Along with this, metal roofs are generally less heavy than you would get from a concrete tile roof. This means that you can typically downsize or reduce the number of roof support columns that you have on your house. Metal is also much easier to install than many other types of roofs so this means that these installations will take much less time than they would for another type of roof. This not only saves you cost in labor but it also saves you from having to deal with an unfinished roof when a storm comes. Roofs are also reflective which means that you can get rid of the issue of too much heat in your home and save on energy costs. You can also add insulation to make it even better for you. You can even leave dead-air between the metal and the roof deck to increase the overall energy efficiency. Are You Searching for General Contractors? 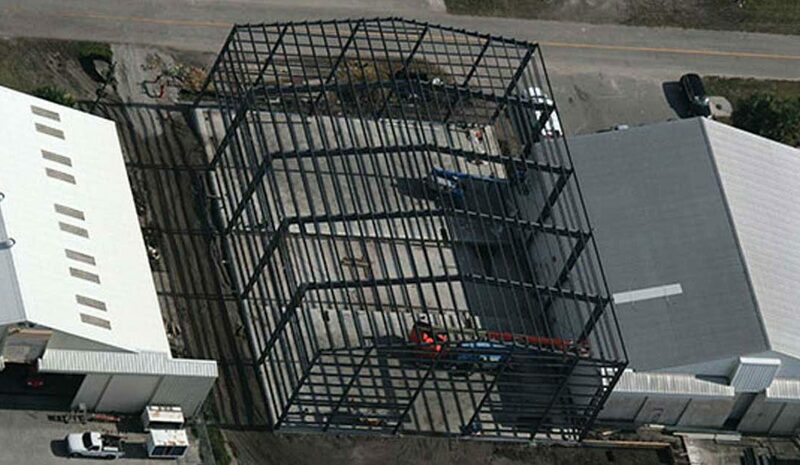 If you are looking for someone to help you with your metal roofing for your commercial project, look no further than us at McKee Construction Co. We are experienced and devoted general contractors and we can tackle any commercial construction project. Would you like to learn more about us? Contact us today. McKee Construction Co. is one of the top general contractors near Orlando. We specialize in corrugated metal roofing and we always go out of our way to ensure that you have the best value for your project. Our company is focused on comprehensive service. That is why we have three different divisions to take care of all aspects of your project. We can be there for you from the start of the project when you are designing it to the very end when it has all come together. If you are interested in learning more about our services, contact us at McKee Construction Co. today.